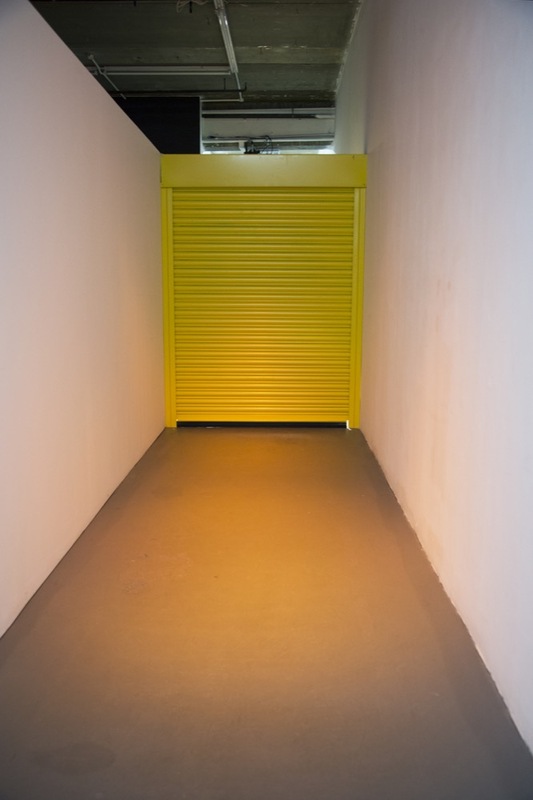 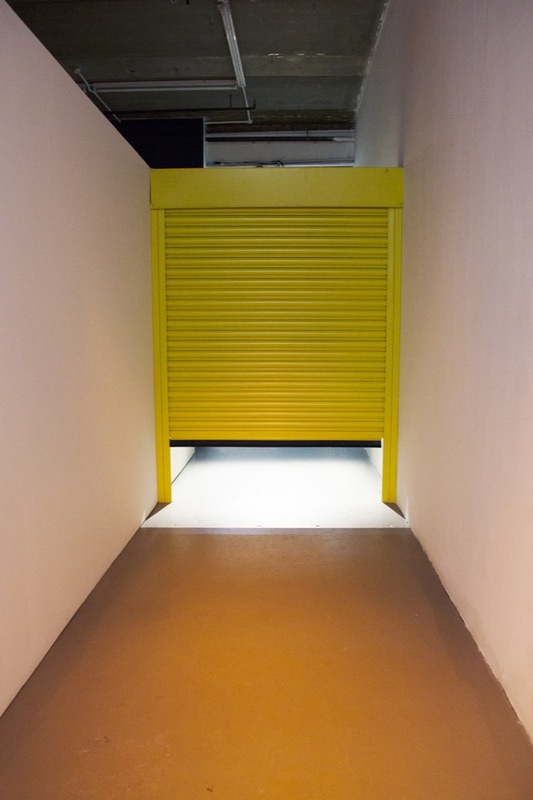 A roller shutter was installed in the main entrance to the exhibition space. 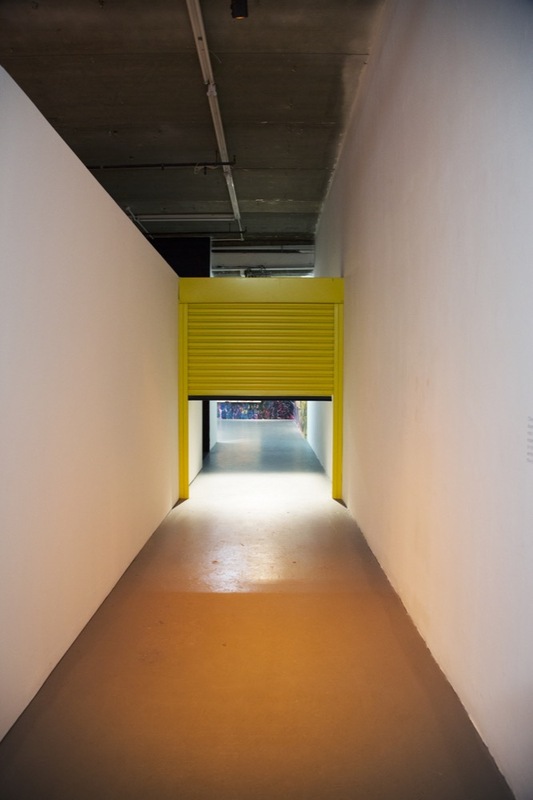 It was controlled by a computer programme to open and close at random intervals. 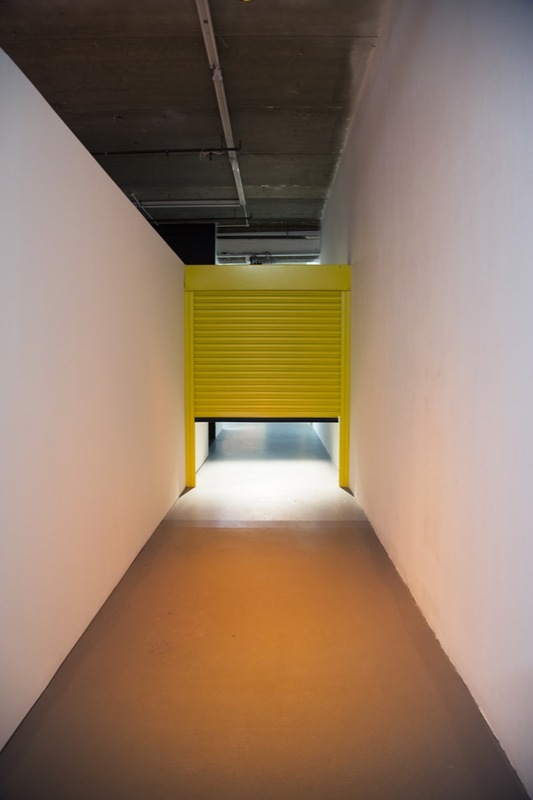 The audience was then forced to either go along a specific route through the artist’s other work at the show, or be trapped without knowing how long they would have to wait.